Fill up your brows with the multitasker Essence make me brow eyebrow gel mascara. A 3 in 1 gel mascara for colour, density and shape, the tinted gel of the make me brow eyebrow gel mascara contains tiny fibers that fill in any unwanted gaps for beautifully defined and full eyebrows. Eyebrow gel mascara that perfectly accentuates the brows. A 3 in 1 gel mascara for colour, density and shape of the eyebrows. Contains tiny fibers that fill in any unwanted gaps for beautifully defined and full eyebrows. Explore the entire range of Eye Brow Enhancers available on Nykaa. 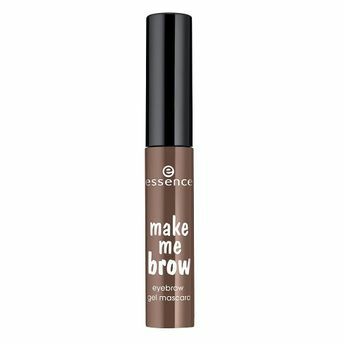 Shop more Essence products here.You can browse through the complete world of Essence Eye Brow Enhancers .Alternatively, you can also find many more products from the Essence Make Me Brow Eyebrow Gel Mascara range.